This article was written four years ago. Since then, this location has seen numerous upgrades thanks to the purchase and donation of land to our organization. It's much more comfortable in it's livability, expanded yard to 4X original size and more. We continue to give presentations to youth groups and schools with existing dogs who call this their forever home. Seventy children erupt in happy squeals as Randy Warner leads five dogs into the classroom. All jerking tails and wiggling bodies, these furry educational aids  or aides, if you will  are just as thrilled to see the students, as the students are to see them. Amid the excited chatter, Warner holds up his hand for silence. The children quickly grow still. Warner launches into his favorite subject  homeless pets and how to help them. However, as the minutes tick by, these first-graders begin to squirm. Finally, sensing they cant stand another minute away from his furry troupe, Warner invites the children forward. In a second, they besiege the dogs in a flutter of petting, scratching hands. The canines thump their legs in ecstasy. It always ends up going in reverse  I talk for five minutes, and the kids get 15 minutes with the dogs, Warner says with a laugh. But its worth it. Warner, 48, knows he has made his point  there are countless friendly dogs like this who will never have guardians to love them. 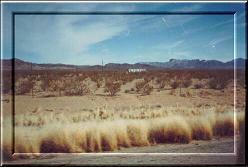 From his home in Dolan Springs, Arizona, Warner travels the Southwest United States, bringing his free presentation on animal welfare to students of all ages. I dont plan to return to any semblance of a normal life until we see a reduction in the number of euthanasias we have each year, says Warner, who estimates 8 million dogs and cats were put to sleep in U.S. shelters in 2001 alone. Before he launched his tour last year, Warner had already gained fame in the animal-rescue world. 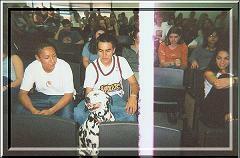 His high-octane campaign to save Dalmatians  his favorite breed  resulted in his personally fostering 2,700 of the spotted dogs over 15 years. All went to good homes, and Warner was featured on Late Show with David Letterman, CNN, the Leeza Gibbons show and Hard Copy for his efforts, as well as in the pages of People, the New York Times and the Wall Street Journal. But as time went on, Warner felt overwhelmed by the heavy influx of animals he was facing (by his count, he once had 38 Dalmatians in his living room). I felt like I wasnt really doing enough about overpopulation, says the former computer programmer, who now subsists on about $2,000 a year and lives on a desert ranch. Euthanasia goes on all day long in this country. That angers me. Believing children are more teachable than adults, Warner booked appearances at more than 30 schools in California, Arizona, Nevada, and New Mexico. In my opinion, the failure of society to fully value and protect our companion animals is its most extreme example of utter and abject failure. Kids today literally jump at the chance to try and solve a problem such as this - a problem that their parents and others just couldn't seem to 'deal with'! Humane Education clubs are already forming at schools nationwide. The 8 western states that we have visited with this program are already experiencing a profound impact on the lives of the animals. These students involve and immerse themselves in finding new creative ways to become the new frontier of the animal welfare movement. Studies show that by offering humane education to our youth, they develop a more sophisticated and solid moral structure and they will come to enjoy education more, resulting in higher attendance, more participation in the field of science, lower drop-out rates, improved achievement scores and the adoption of a less violent conflict resolution technique. Children and teachers alike seem to welcome the message. A fifth-grade class in Santa Ana, California, voluntarily had a bake sale and raised $56 to help pay for Warners expenses (he never charges fees for his presentation). At a private school in Albuquerque, the staff voluntarily collected $80 for him. And at Santa Fe High School in New Mexico, 175 teen-agers voluntarily came to an after-school program at which Warner was speaking. So far, Warner estimates hes reached 3,500 children and counting. What accounts for his popularity? Part of it undoubtedly lies in his high-density message. 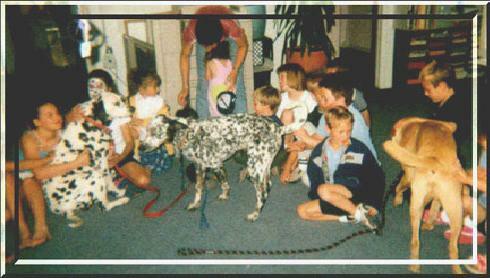 Warner doesnt just discuss overpopulation; he also tells children how properly to approach, train and care for a dog. And he emphasizes how large a commitment a companion animal can be. 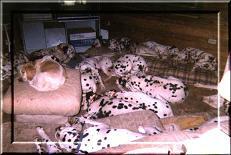 When I began rescuing Dalmatians, I realized that people werent taking care of their dogs properly, he says. People would go out and get these adorable polka-dotted puppies and not realize that they have an entirely different regimen than your average Golden Retriever. 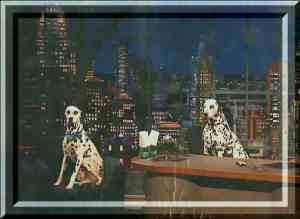 The problem reached a crisis level with the release of the Walt Disney movie 101 Dalmatians, he notes. Warner also doesnt shy away from explaining the tragedy of euthanasia, even to younger grade-schoolers. I ask permission from the teacher first, and every teacher has given me permission to talk about it, he says. I dont dwell on it with younger kids. I just say, Its not a happy thought, but were killing 8 million animals every year because we dont have anyplace to put them. The kids just gasp when they hear that. Theyre appalled. With older kids, I go into it in more detail. Warner believes so deeply in the power of educating children that he lives a life of sacrifice to reserve funding for his tours. From the generosity of supporters, Warner owns a plot of land in Northern Arizona with a new home, a new well and plenty of securely fenced land for all who awaits a home to run and play. He does have a cooling system but must drive 47 miles to the nearest grocery and claims he's getting used to it. "It does have it's benefits'' he says. At the end of the 45 minutes, everyone can see the eyes lighting up with questions, ideas, thoughts of 'why'. They really 'get it'. I have but one goal for the rest of my life. That is to change the status quo by helping to raise a kinder, gentler next generation. I plan to continue my travels through 40 states - over 12,000 miles - with my five dogs as navigators in the next two years, charging NO fees to groups I address. I let it all out. I don't cover up the truth with sweet words or phrases that make a horrific situation sound more gentle and less important. It�s not a shelter, but a dog pound. We don�t �euithanise� and �put to sleep� we kill these animals - needlessly. The six of is will appear before more than 1 million youth in schools across the United States, urging students everywhere to form Humane Education Clubs in their schools. It's important that we share the valid and proven ways to solve these problems with those who will govern our nation in the future. We are responsible for their learning and have an obligation to show them it's our problem - its' up to all of us to make the correct decisions. Americans have the sophisticated technology and successful marketing prowess to make miraculous changes. Put a man on the moon, cure a new disease and even win wars in 100 days or less.. But yet, we can�t seem to successfully convey the reality of our selfish and irresponsible behavior �because it upsets too many people to hear this�. I understand that this subject is hard to handle, but, I must remind all who turn away when these facts and figures surface, that all those doggies and kitties that go to that little room to be killed each day become pretty upset too. Maybe, just maybe if everyone were to listen at least once, to the problems, their causes as well as proven solutions, these animals could be led outside to a new home instead..
To add to his stress, Warner found one of his dogs shot to death in March. Her name was Punkin, and she was hanging from a tree (on the ranch) with a pit bull jumping at her, he says. He suspects she was snatched by some drunken people who live nearby. Warner still grieves for Punkin, but he focuses on caring for his remaining dogs and on raising money for his educational tours. And Warner is not without his supporters. While traveling, he and his dogs stay in Motel 6 hotels thanks to the permission of managers in the chain. The National Anti-Vivisection Society donated the van he travels in, Hartz-Mountain Corporation pays utilities and provides doggy treats and Animal Protectors of New Mexico, Animal Defense League of Arizona and In Defense of Animals have funded some of his tour. Assorted private parties have also donated money toward his living expenses. Warner believes his message is powerful because children instinctively care about animals. A school in Florida, for example, recently raised enough funds to buy bullet-proof vests for six K-9 police dogs after a seventh was shot to death while on duty. And in Phoenix, children in one school have come together to form their own humane education club. The program is quickly spreading to other schools, Warner says.